A few months ago, I got to participate in the first blogger foodie swap hosted by Georgie of In It 4 the Long Run. I got some awesome goodies in the mail and I also got to send a package of some of my favorite snacks to another blogger. You can check the first post out here! When Georgie mentioned that she was organizing another swap, I jumped at the chance to participate again because I love getting packages + I love food + I love sharing the food I love with other people. 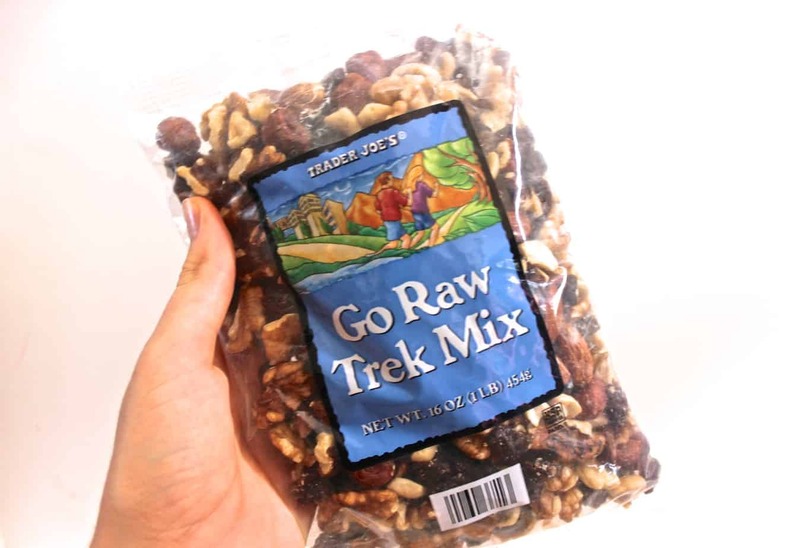 Trader Joe’s Go Raw Trek Mix– just walnuts, almonds, and raisins. Perfect! 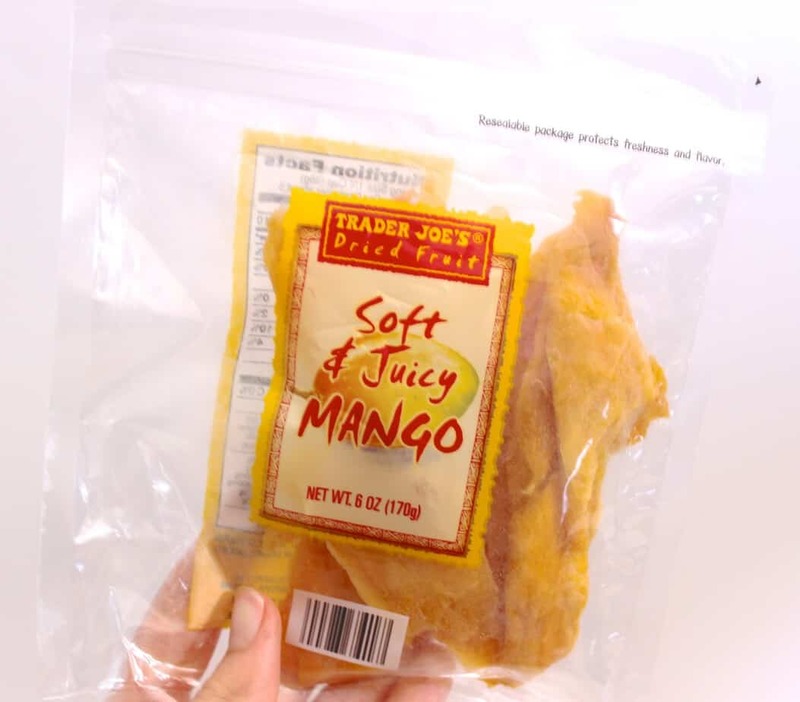 Dried Mango Slices– Perfect for a natural sugar pick-me-up during those those tired afternoon slumps. Anyone else get those? 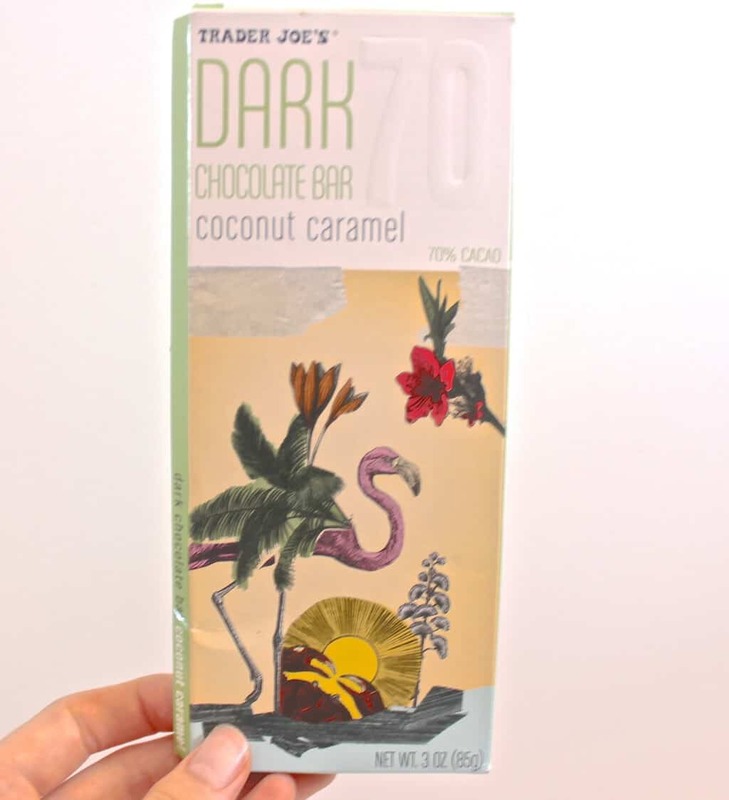 Coconut Caramel Dark Chocolate Bar– This was legitimately the best chocolate bar I’ve ever had. I mean, it was super dark chocolate and it filled with coconut caramel…If you have a Trader Joe’s nearby, I highly recommend picking this one up as soon as possible. Grain & Seed Oatmeal– I’m a huge oatmeal lover and I usually stick with the same combo every morning since I don’t get tired of it: 1/2 cup quick-cooking oats, 1 cup of water, a sprinkle of dried fruit, and a splash of almond milk after it comes out of the microwave. With that being said, I LOVED that Rachel sent me this unique grain and seed oatmeal with oats, quinoa, amaranth, sunflower seeds, pumpkin seeds, hemp seeds, flax seeds, and chia seeds, though, because it forced me to break out of my normal oatmeal routine. I don’t mind switching it up at all, but I normally don’t even think about doing it. Is there a food that you can eat almost every day without getting tired of it? Most foods, actually! Some foods that I do eat almost every day without getting tired of are oatmeal, most fruits and veggies, and dark chocolate. If you could design your perfect chocolate bar…what type of chocolate would it have? What would the filling be? Oooo a foodie swap? Now, that sounds like something I need to be a part of in the future! Join the Bloggers Gonna Blog FB group! Georgie has organized both of the swaps through that 🙂 You can join here! You’ll have to let me know if it goes away when you graduate 🙂 And wow, how is there not already a chocolate-covered marshmallow bar?! That’s brilliant! A foodie swap sounds so fun! I hope I’m able to join in on the next one! And thank you for introducing me to the coconut caramel dark chocolate bar and that oatmeal sounds fantastic! Georgie organizes the swaps through a blogger Facebook group I’m a part of. You can join here! I don’t get sick of oatmeal, sweet potatoes, fruits and almond butter. That oatmeal looks awesome! YAY! So happy you loved everything! 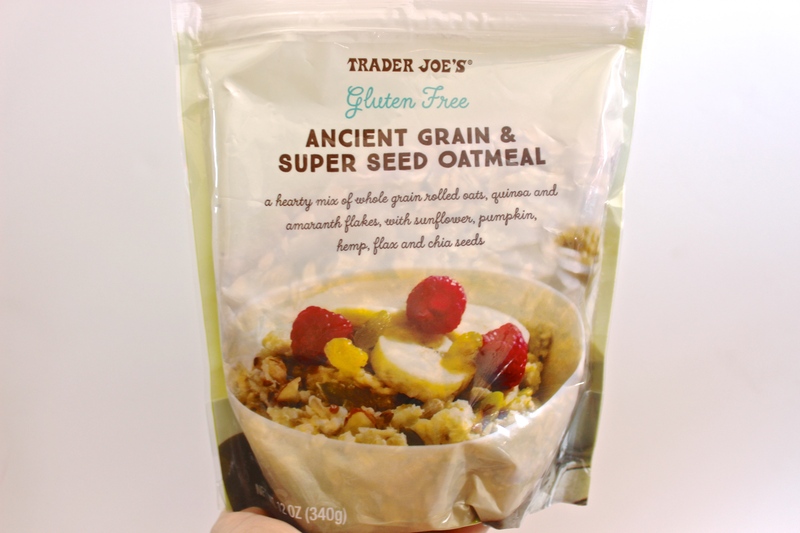 Let me know how the ancient grain oatmeal is – I have yet to try it but it’s on my list. The oatmeal is the only one I haven’t tried yet, but I’ll let you know when I do 🙂 Thanks again, Rachel! Yay, so glad you joined the BGB FB group! 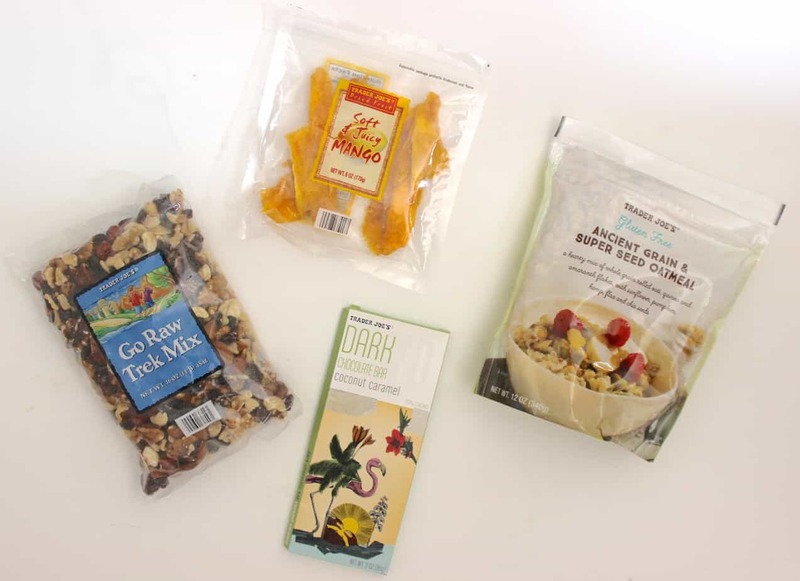 I’ve made some fun new blogging friends through it, not to mention the obvious perk of the occasional foodie care package! As if I wasn’t envious of enough foods in the US already I’ll now have to add that chocolate bar to my list. Caramel alone is great and teamed up with coconut? Amazing! Have you tried it yet? The afternoon slump is a real thing and I’m afraid to tell you it’s a college-only issue. I actually just read another article mentioning it. Oh, that chocolate bar was the first thing I tried! It took an incredible amount of self-control to make it last longer than 1 sitting! Ah that chocolate is one of my favorites, it’s definitely something I could eat everyday and never get tired of 🙂 That and sweet potatoes, oatmeal and almond butter of course! 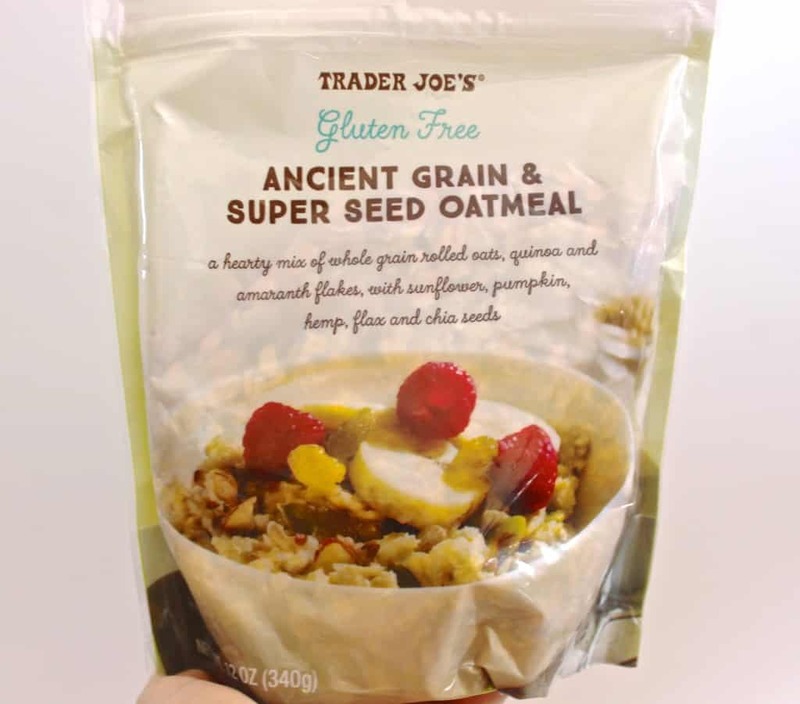 That oatmeal looks great – I’ll have to check it out next time I go to Trader Joe’s! Oooo I’ve never tried out that oatmeal, but have always seen it at TJs and wanted to. My foodie swap box was full of TJs goodies too & I loved it since I don’t live near one while I am away at school! Oh what a fun surprise! Luckily, there happens to be a Trader Joe’s much closer to my dorm than my house. I love all of their fun snack-y foods! Charlotte, you should definitely join the group!! The Bloggers Gonna Blog Facebook group has lots of other things going on besides the foodie swap and is a great way to get advice and connect with other bloggers 🙂 You can check it out here! I’ve started eating oatmeal for breakfast again – the version you got sounds very intriguing. My friend just moved for grad school and was very excited she now lives by a Trader Joes! Oatmeal, nut butter, bananas, green apples, and chocolate, pretty sure I could eat all day every day and never ever be sad about it! Perfect chocolate bar would be milk chocolate, with caramel, honey, and cashew butter on the inside… just sounds magical right! ? Your favorites = all of my favorites, too! Green apples are SO good and I love baking with them, too. Your ideal chocolate bar sounds INCREDIBLE. Can we make it happen?! Oh my jeeeeze I need it. Wowza. I’d say a chocolate bar can’t get any more perfect than that! It was INCREDIBLE. Until now, I’ve been able to restrain myself from buying up all of the fancy chocolate bars near the check out line at Trader Joe’s…but no more! I’ll be buying another one of these for sure! Ooh yummy! How would I join the foodie swap too Liv? I would love to do something like that with another blogger. Also, I nominated you for a blog survey: http://beautyinchristthebook.com/?p=2119. I understand if you don’t have time to do it! My perfect chocolate bar would be a chocolate bar filled with peanut butter and caramel! Hey Emily! You can join the Bloggers Gonna Blog FB group here if you’d like to take part in a swap in the future! It’s a group for bloggers who love food and fitness 🙂 And your perfect chocolate bar sounds pretty amazing! OMG food swap??? That is such a neat idea! I always wanted to have a clothes swap party with friends, but for health food blogger, what an awesome idea! i really need to check out trader joes more often- I’m currently more of a whole foods girl. I never ever get sick of sweet potatoes or smoothies! Perfect chocolate bar hmmm- not sure – I think something that has peanut butter or almonds & coconut in it!